On September 9, 2015, the "TATRA in circle" trademark celebrated the 80th anniversary of its registration. The trademark is known as a logo of the third oldest car and truck manufacturer in the world, now represented by TATRA TRUCKS a.s. Fans of the legendary Koprivnice truck factory may purchase promotional items with logos, in the official company’s e-shop. The TATRA brand has been used since 1919, when, based on contemporary testimony, cars from the Koprivnice factory conducted a test drive from Tatranská Lomnica to Strba in the Slovak Republic. The cars were so successful in rough terrain, on top heavily snow-covered, that one of the local onlookers said: "That would be a great car for our Tatras". And a new name for the car, and later for the car&truck maker, was just born. However, it took another fifteen years when the TATRA trademark was registered in its recent form. 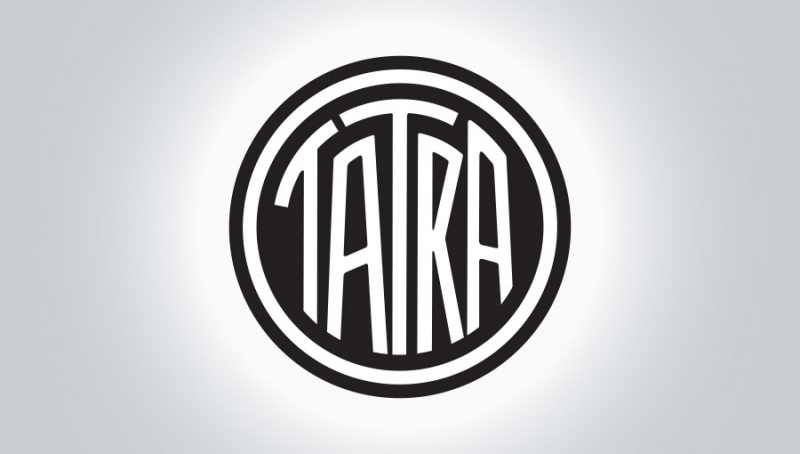 One year later the so-called composite trademark was registered, a distinctive TATRA inscription framed in a circle. It then began to be used both on the cars rolling off the production lines, as well as the official company’s logo. Over time, there were also various modifications and changes until the logo has stabilized in its present form. Today, TATRA is a concept the world of trucks and, therefore, the logo has an extremely high value. The reborn TATRA, in the hands of Czech businessmen, still retains its close links to its glorious history, and this will continue. And that is why in July this year, a new T-SHOP was put into operation, i.e. e-shop reflecting the tradition of continuous development of unique technological solutions, creative approach and quality, thanks to which the brand TATRA still enjoys well-deserved reputation in the world markets. Through the T-Shop the truck maker introduced a brand new collection of TATRA branded items, whose common denominator is the added value in the form of practical solutions, craftsmanship, timeless design and unique style of Tatra. To enter T-SHOP click here. 80. The 80th anniversary of trademark registration corresponds almost exactly with the opening of a new TATRA TRUCKS diagnostic centre, which took place on Tuesday, September 8, 2015. So the truck maker on this anniversary gave themselves an extremely useful gift that will greatly help in further development.